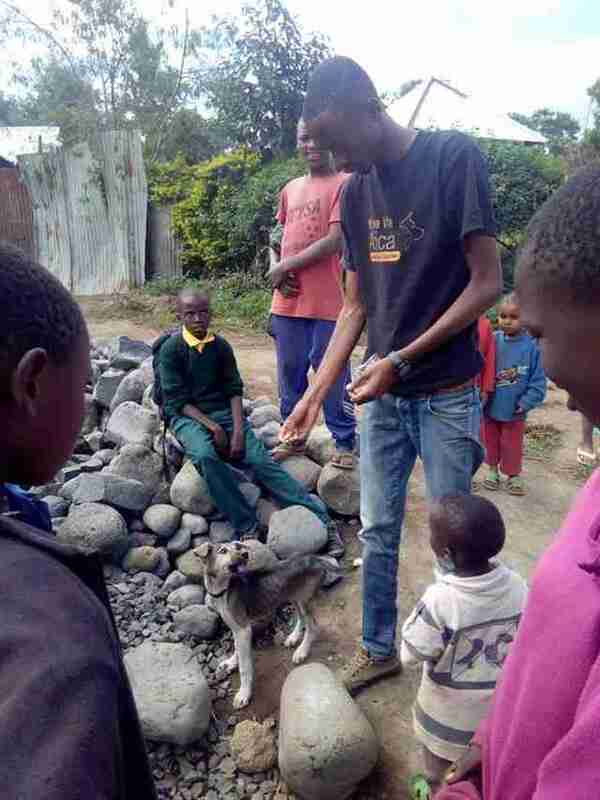 Ismael Mungaya’s father thought his son was crazy for rescuing street dogs. When Mungaya came home with his first dog, he yelled at Mungaya for an entire week, calling him mentally unstable. 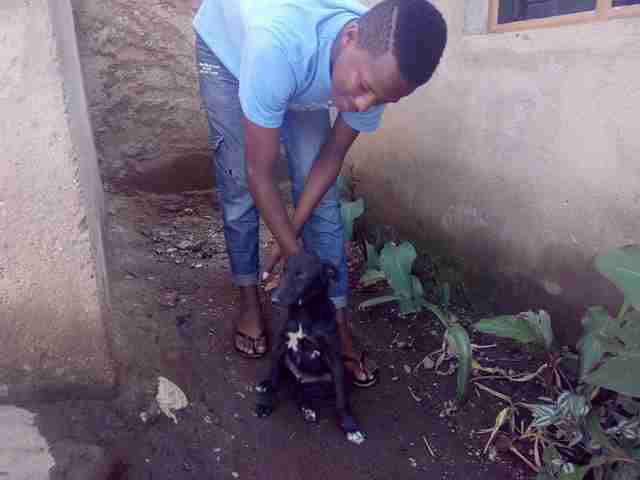 In their home city of Arusha, in northern Tanzania, many people view dogs as dirty, unworthy creatures, and Mungaya’s father didn’t understand why his 21-year-old son was spending so much time and money helping them. But Mungaya couldn’t help it. It all started a year ago when he found Tina, a street dog who’d given birth to four puppies beneath a bush, and he knew he had to help her. But Mungaya didn’t know what to do next. So Mungaya turned to Facebook. He wrote a post about Tina and her puppies and everything he wanted to do to help them — and as the post was shared, it helped him find people who could assist. Mungaya’s rescue work didn’t stop with Tina and her puppies. He started rescuing more dogs — and more and more. 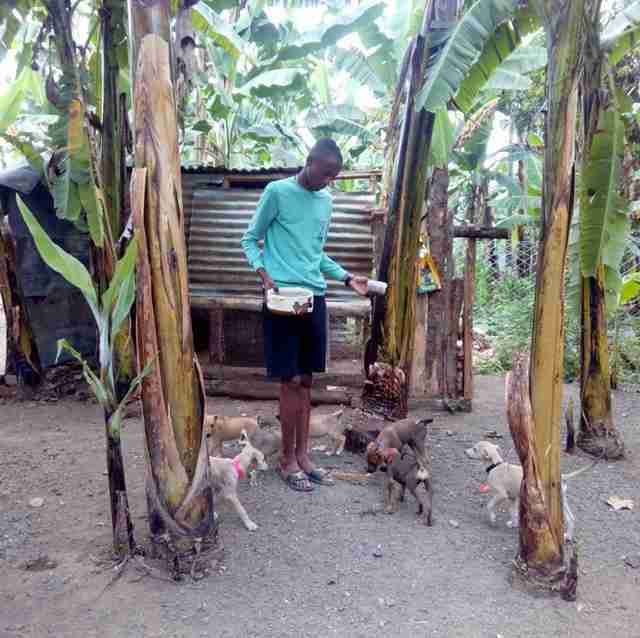 While Mungaya’s father is still not completely happy with his son helping dogs, he has started to come around — and allowed his son to build a makeshift dog shelter on their land. 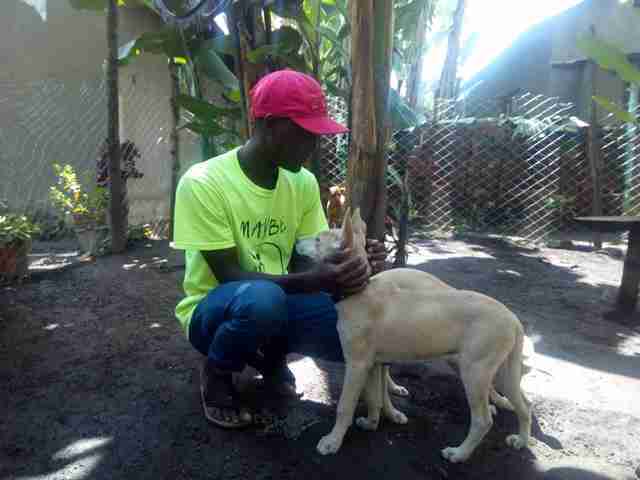 Mungaya’s network keeps growing, as people find out about the young animal rescuer and are inspired to help. He constructed the shelter with the help of a couple of German expats who were living nearby. 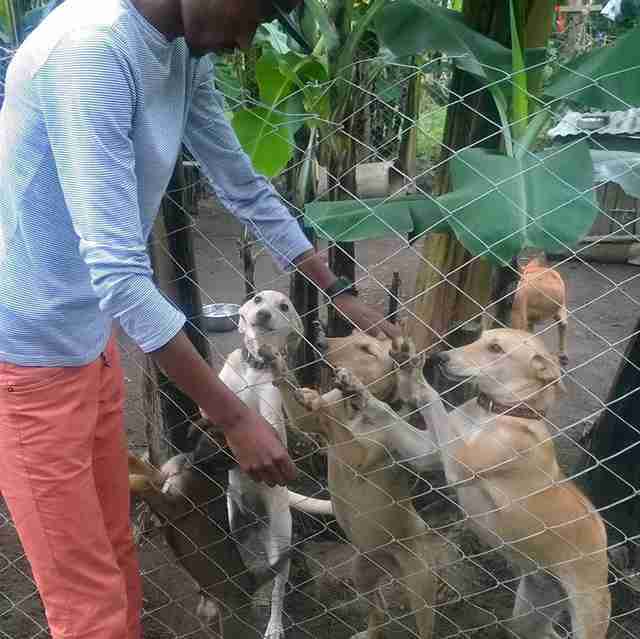 To date, Mungaya has helped more than 30 dogs whom he’s rescued, rehabilitated and rehomed, and he’s currently caring for four dogs at his shelter. But Mungaya and his growing shelter continue to face many challenges. 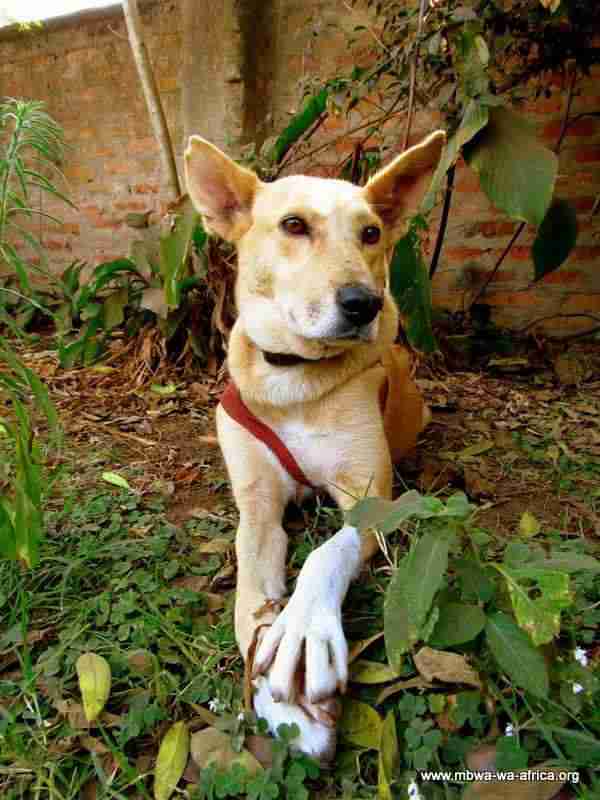 For example, when Tina briefly ran away last September, someone saw her on the street and shot her in the leg and neck. Thankfully, one of Mungaya’s new friends was able to get her to the vet to save her life. 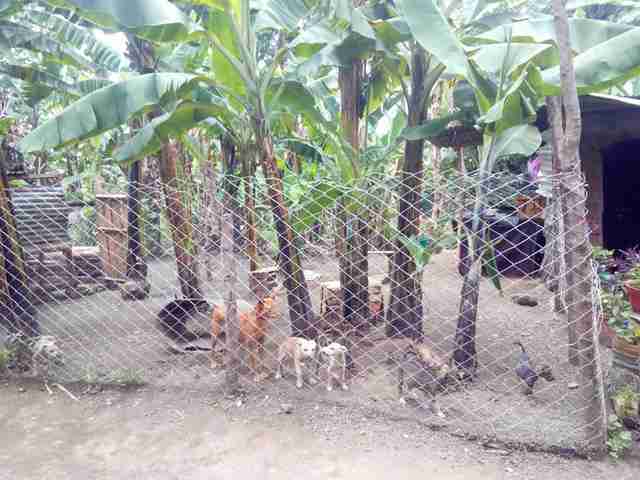 Yet street dogs in Tanzania continue to face many issues — starvation, neglect, abuse and violence — and Mungaya has an ongoing battle trying to change people’s negative perceptions of dogs. Another challenge is paying for everything. 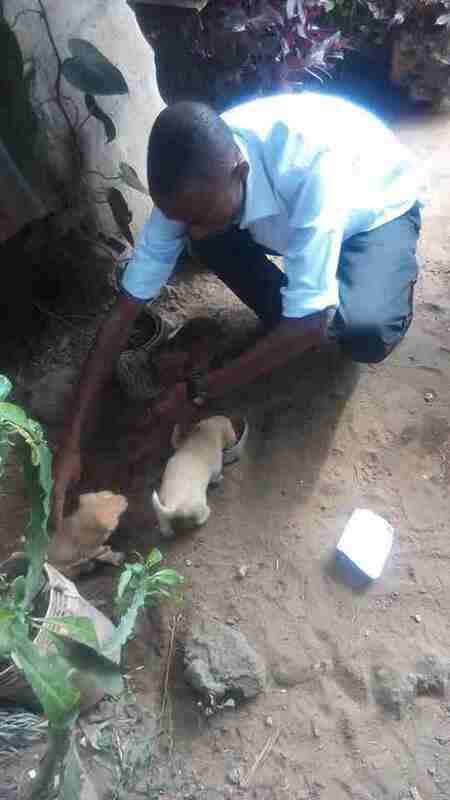 Mungaya occasionally gets small donations, which he uses to buy dog food, but he often has to pay for things out of his own pocket, including supplies for the puppies he sometimes has to bottle-feed around the clock. “When I have dogs and [I’m] not sure I can get food for them, it is hard, very hard to me,” he said. He’s also hoping to raise more money to make his shelter more weatherproof by building a solid floor and roof for the building — it currently lets in the rain in bad weather, which can make the dogs sick. But despite it all, he’s determined to keep helping as many dogs as he can — for as long as he can. 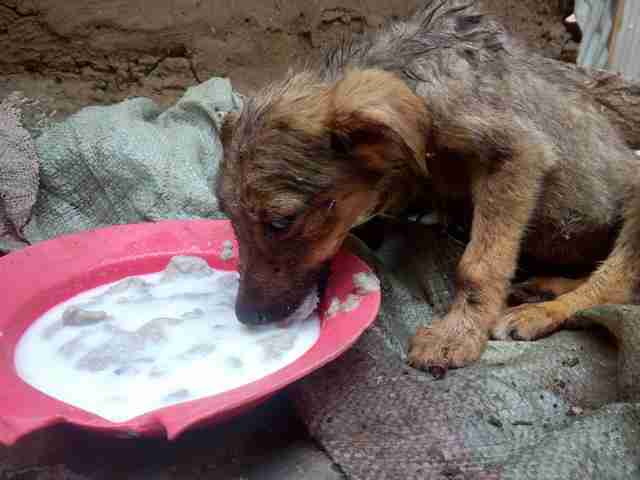 To help Mungaya rescue more dogs in Tanzania, and pay for their food and veterinary care, you can make a donation. You can also follow Mungaya's rescue work on his Facebook page.